Fax the order form to the toll free number provided. (1-877-604-1555). With my faxable order form there's a barcode that prints out on the order form. When you fax it, a special software application reads the barcode. A digital copy of the order form is routed right to a special directory in our system, specific to that order, and we're notified it's arrived (even if we're out of the office!). Your LOS might have ready-to-print appraisal requests already. No problem - use that instead! Just download a cover sheet from here. It has a similar barcode that will accomplish everything our own order form does. Print it out, make it the first page of your fax, and we're in business! Don't want to visit our website every time you need to order an appraisal? 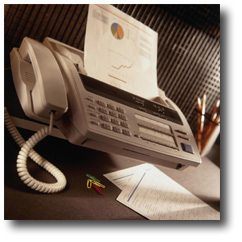 Just print out order forms or cover sheets in advance and keep them by the fax machine. Filling out our order form by hand works, too. A digital copy still gets delivered to our system and we can start the report promptly. 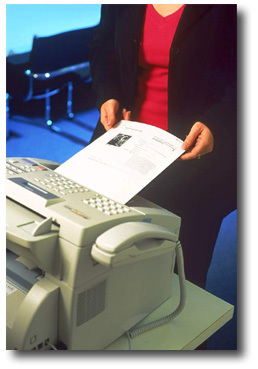 DirectFax saves you time by letting you be sure the fax gets to us and doesn't get lost in the shuffle. It's just one of the ways we at GreatLand Appraisal Group strive to help you close loans faster.